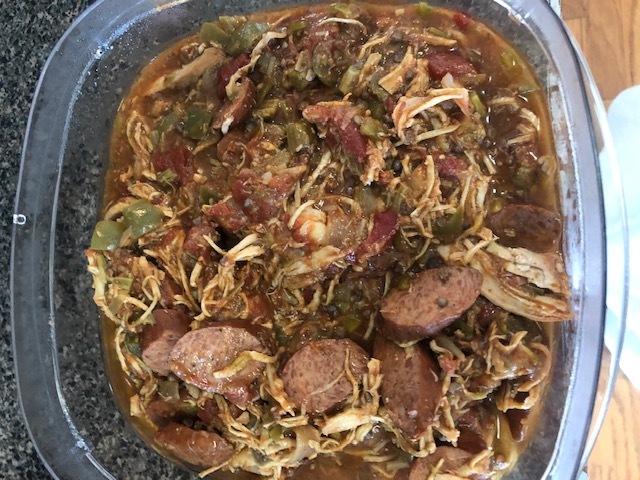 One of my father in laws favorite things to cook when we go to the beach is his famous gumbo made with fresh shrimp caught that day. I needed a healthier less time consuming recipe that could be enjoyed all the time, so here it is. Add all the gumbo ingredients into your crockpot except for the shrimp. Cook on low about 6 hours. The last 20 minutes add the shrimp to the crockpot. Serve over rice or quinoa or enjoy by itself. Great for meal prepping.